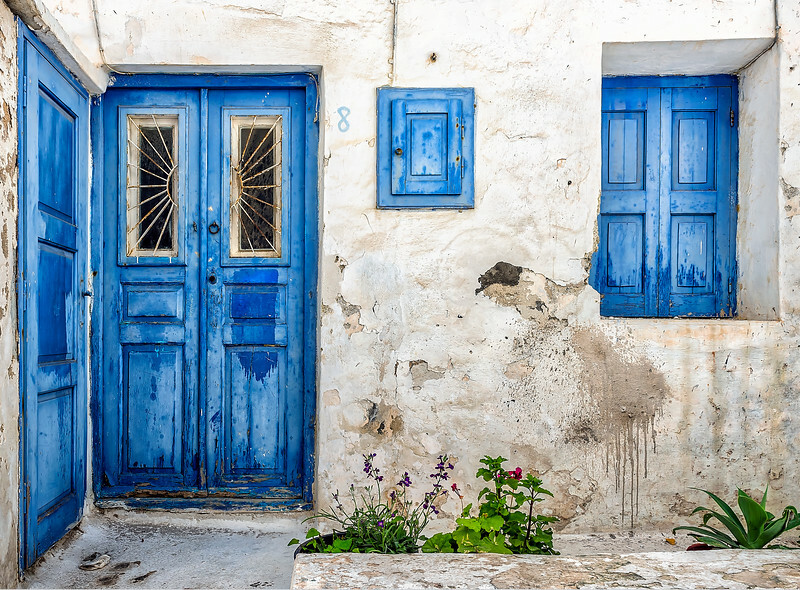 Take a walk through the streets of Mykonos and you will be greeted by a world of color and textures that seems almost overwhelming. Passing by this entranceway, I couldn't help noticing the "girl" leaning over and watering the flowers. I wonder if the owner is even aware. If you can't see it ... take a minute. She's quite the caretaker.